Are you looking for a way to promote your business outside of the office? If so, custom vehicle wraps and lettering are the perfect options for you! SpeedPro Imaging Spokane is available for businesses in Eastern Washington and Northern Idaho who want to take their brand on the road. Our vinyl graphics are bold images that can capture the attention of anyone who passes by your vehicle. Whether you want a giant display to completely cover your car or some partial lettering around the side panels, SpeedPro is here for your customization needs. Think about the last time you were driving down the highway. How many cars or trucks did you pass that advertised their business? 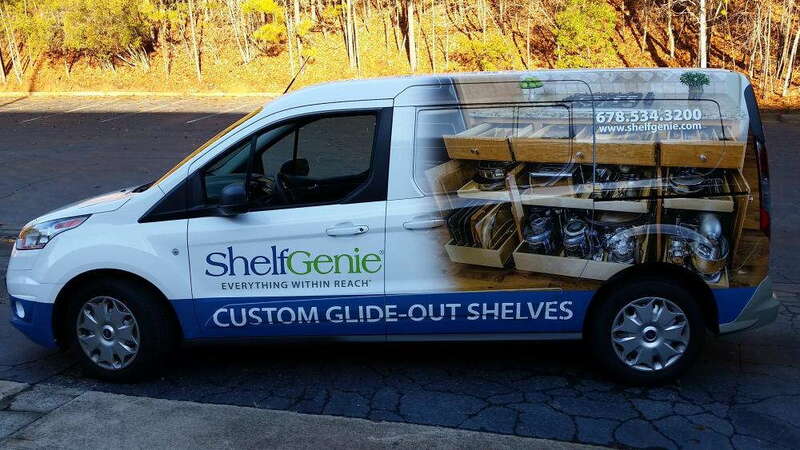 How many times did you think to yourself, “I’ve never heard of that one!” You’ve already seen how effective vehicle graphics can be without even realizing it. Complete wraps cover all areas of your vehicle — hood, trunk, doors, roof and windows. These vehicle graphics ensure that anyone passing by will see your business’s brand and message loud and clear. You won’t go unnoticed! Fleet wraps are perfect for trucking and van businesses. When you have multiple employees driving around, you want the look of your brand to be standard across all vehicles. Therefore, fleet wraps are designed to bring uniformity, no matter where you drive! 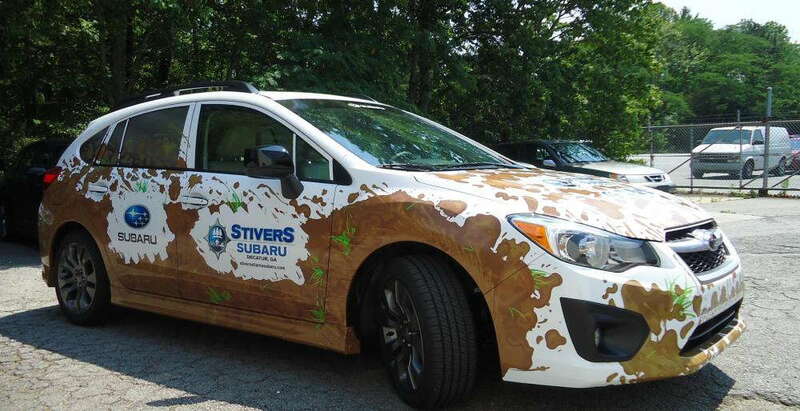 Transform your fleet from blah to brilliant with this marketing tactic that offers the lowest cost per impression — Vehicle Wraps! Custom vehicle lettering is also critical for your auto design. Have you ever seen a car drive by and wondered what their bumper sticker or window decal said? Don’t be the person with that kind of design! SpeedPro Imaging Spokane will help you find the right lettering that emphasizes your business — professional, friendly or any other type — and remains readable as you drive down the highway. Some businesses also prefer vinyl auto decals and partial wraps. These products are still effective customized designs and may offer you a better deal. Whether you’re looking for a side decal or an image on the back panel of your vehicle so that people driving behind you clearly see your brand, SpeedPro has you covered. 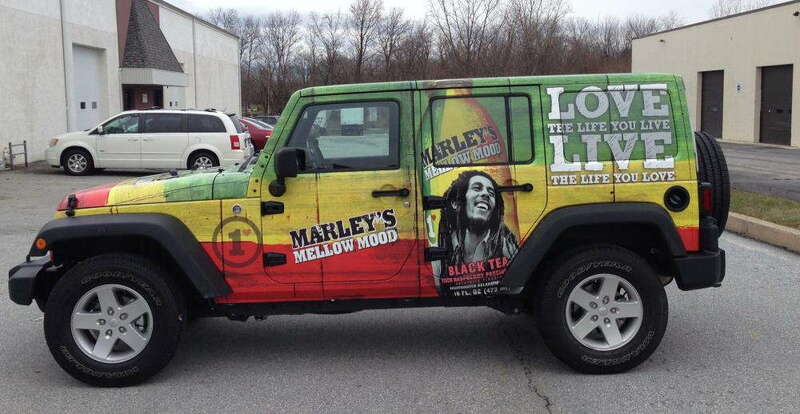 For more examples of our custom vehicle wraps, check out our Idea Gallery! The professionals at our studio work directly with you in all stages of the vehicle wrapping process. We’ll brainstorm ideas, map out your vision and answer all of your questions about your business’s needs. SpeedPro Imaging Spokane invites businesses from the surrounding areas of Spokane and Coeur d’Alene to come in for a complete vehicle makeover. Our vinyl wraps last for up to seven years, ensuring a quality price for a long-term investment. Gloss and matte finishes give our designs a stunning look as well. Come in for a consultation for your new vehicle wraps. Our studio is located off of Montgomery Drive and Van Marter in Spokane — visit us, and allow us to mobilize your business today! They were great to work with. I had a really urgent order and was very impressed with how they really worked with me to make sure I got everything I needed in time. Above and beyond what I've experienced at other local print shops. We love working with SpeedPro. From ordering to pickup, it's a great process with a really lovely team. Thanks so much for the awesome work! Very friendly and awesome to work with. Fast, reliable, friendly service and high quality products. I know that when I order something through SpeedPro I'm getting the best for my customers. Very helpful and always responded quickly to questions or requests.